Now Dr. Oz is Against Fluoride Too? Erin Brockovich Redux Wasn t Once Enough? Brother John Birch and anti-science activists have a new friend -- in Dr. Oz. Well, anti-science activists always had him. But John Birchers, that may seem new. The good doctor has often garnered ratings by embracing wacky beliefs. Now he does so by again suggesting fluoride in water is hurting us, and for supporting evidence he put world-renowned epidemiologist Erin Brockovich on his show to advance her perspective on dental health. 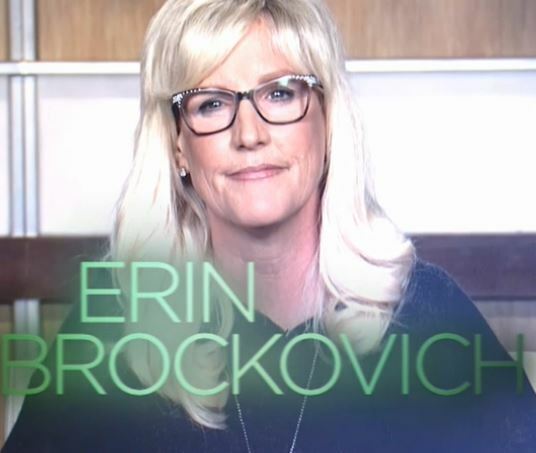 Wait, Erin Brockovich is an epidemiologist? Of course not, she is an environmental activist; Julia Roberts played her in a movie. Yet for Dr. Oz, who has also trotted out a yogic flying instructor and the lawyer who raises dark money for SourceWatch as science experts, being portrayed by a Hollywood actress is the ultimate credential. She is promoting doubt about fluoride in water, and so is he, or she wouldn't be on the show. Fluoridated water is common in the United States. 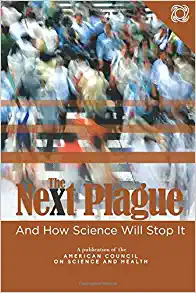 The Centers for Disease Control (CDC) recommends it because 70 years of data show it has resulted in substantially improved dental health, so much that the CDC -- actual experts, mind you -- named it one of the greatest public health accomplishments of the 20th century. What do Dr. Oz and Erin Brockovich know about fluoride that epidemiologists, hydrologists, the Institute of Medicine, the Mayo Clinic, the American Academy of Pediatrics, the American Dental Association and the entire CDC do not? Nothing. It is just the latest salvo in Oz's war on accepted science. His only concession to actual evidence about fluoride is to put a link to decades of established facts in an obscure place on his website, while giving Erin Brockovich a platform for millions to create worry about a water problem that does not exist. It is shockingly bad false equivalence. It isn't the first time he has promoted fear and doubt about fluoride, but back in 2011 much of America still had not caught on to his fifth columnist efforts to undermine evidence-based health. He says he removes fluoride from his family's water and that same year he put up pictures of severe fluorosis, without telling the audience that it happens in just 0.3% of cases among susceptible kids -- a tiny few -- and is just as likely to happen among children living in areas with low fluoride concentrations in the drinking water. Fluoride was first studied for dental health over a century ago because a Colorado dentist saw numerous local people with brown stains (fluorosis) yet no cavities, and it turned out to be due to high levels of naturally occurring fluoride in the Colorado River. In the interests of scaremongering (and, of course, TV ratings), Oz consistently frames away the important details that would debunk his weird beliefs. But thankfully, the public has caught on. 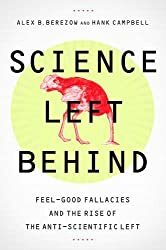 In the last two years, he has been scolded on the floor of Congress, studies have shown half of his content is basically made up and, most famously, a letter by the American Council on Science and Health and others got national attention by calling on Columbia University to force him to resign his faculty position. After that last firestorm of criticism he hired a fact checker (an anti-GMO activist), made Dr. tiny in the name of his show and ... his audience plummeted by 50 percent. The undermining tactics about fluoride are along the lines of misrepresentations he has made on consensus science for years. His show implies fluoride is on the run because recommended levels changed from a range of 0.7 -1.2 mg per liter to simply 0.7 mg/L. By incorrectly claiming 1.2 was a hard number and that it is now dramatically lower, the American Fluoridation Society notes, he invites the conspiratorial implication that there is a secret effort to avoid health problems caused in the past by fluoride. He also claims that much of Europe has rejected fluoridation in community water, but in reality they don't need it. They instead have fluoridated salt and milk and various other programs with fluoride. They haven't rejected it, they love it. Dr. Oz hasn't changed, nor have his unethical tactics toward critics. Since he has again been criticized by the American Council, look for his producers to again summon Mother Jones, SourceWatch and other anti-science groups to claim I must be a shill for Big Fluoride, rather than just accept that his television recommendations are nonsensical and dangerous.